Optimism is foolish when it makes light of challenges. A little overconfidence inspires courage, but swagger goes wrong when it makes light of hairy beasts. Go ahead and overestimate your strengths a little, but don’t bolster courage by making light of challenges. Making light of challenges devalues winning. 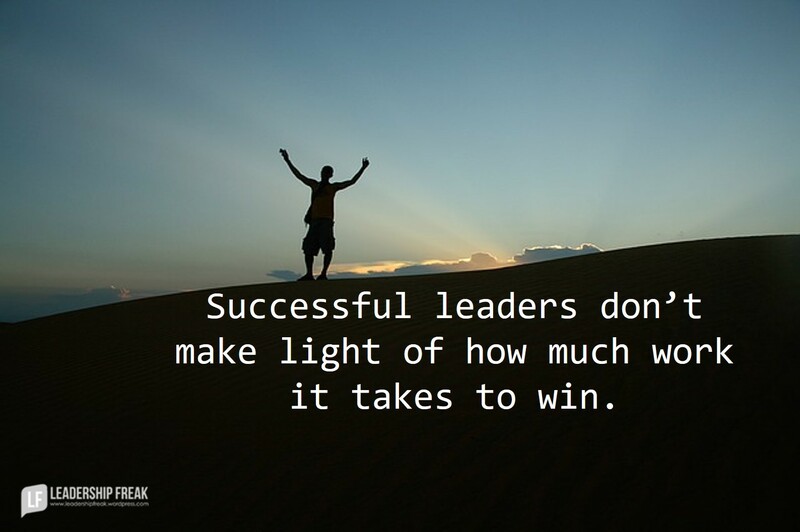 Successful leaders don’t make light of how much work it takes to win. Respect. Teammates respect your ability to assess realities. It’s difficult to trust leaders who pretend things are better or easier than they are. Honor. Commitments are honorable when you choose to shine lights on hairy beasts. Minimizing challenges diminishes the value of grit. Connection. Relationship is more relevant when obstacles are big and teams need to pull together. Preparation. The danger of minimizing challenges is lack of preparation. If winning was easy, there’d be fewer losers. Courageous leaders rise up and look challenges in the eye. Remember times when you rose up and faced big challenges in the past. Respond to your fear of losing by developing strategies and taking aggressive action. The fear of losing your reputation enables you to face the lesser fear of looking the beast in the eye. Leaders who make light of challenges are unworthy to lead. How might leaders look the beast in the eye?